Description: Run your apps from the screenbar. needing to switch back to the Ambient screen to run it or remember its hotkey? 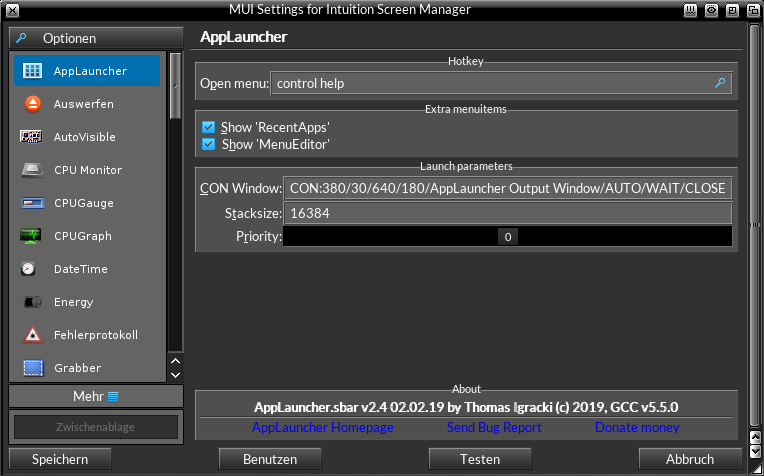 in your screenbar, so you can select the application you want to start! 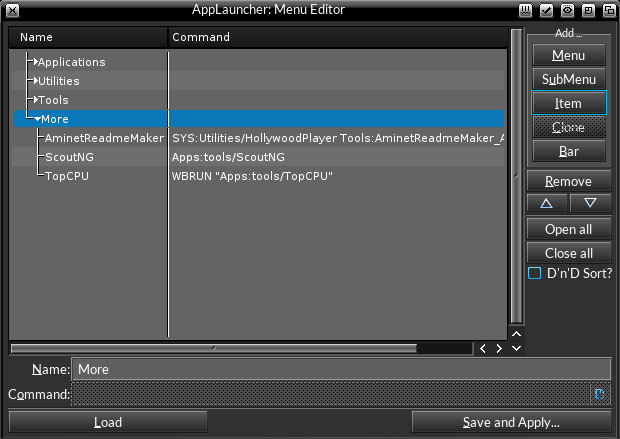 that is located in SYS:Data/Screenbar/AppLauncher/config. or execute/double-click the "Install" file to do this. Your custom config file won't be overwritten anymore! 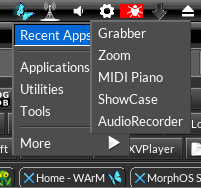 chg: changed the "Open menu hotkey:" label to just "Open menu:", because the group title already contains "Hotkey:"
new: added two checkmarks in the settings for not adding the "Recent Apps" and "MenuEditor..."
- added a full blown menu editor to edit the menu including drag and drop support to add apps!